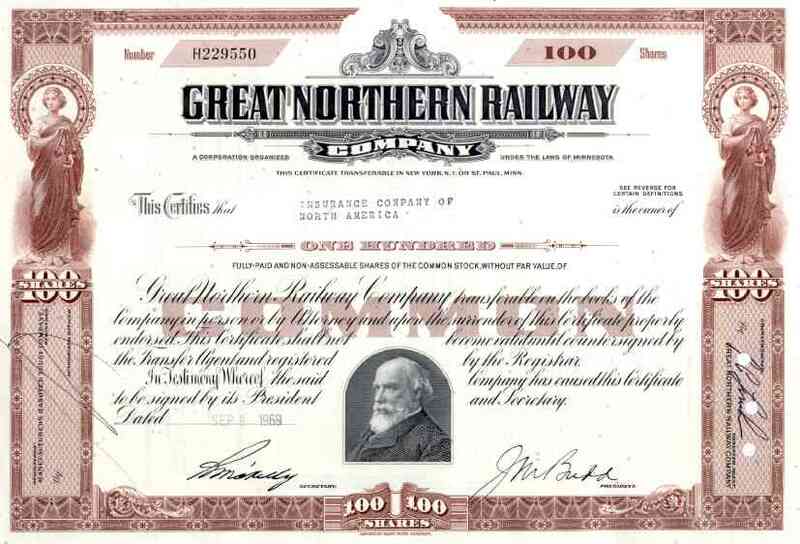 1960s Great Northern RW Stock Certificate. Vignette of James Hill, who bought the bankrupt St Paul & Pacific RR and made it profitable, eventually extending the line west to Seattle. He reorganized his extensive RR system into the the Great Northern RR in 1890. Nice scripophily document in VF+ condition.